Designed from the ground up to be a brewmaster’s take on a Sake style beer, Jizake will be crisp and refreshing. Brewed with 100% rice and sake yeast, no hop additions and lightly carbonated for a burst of flavor and smooth finish. 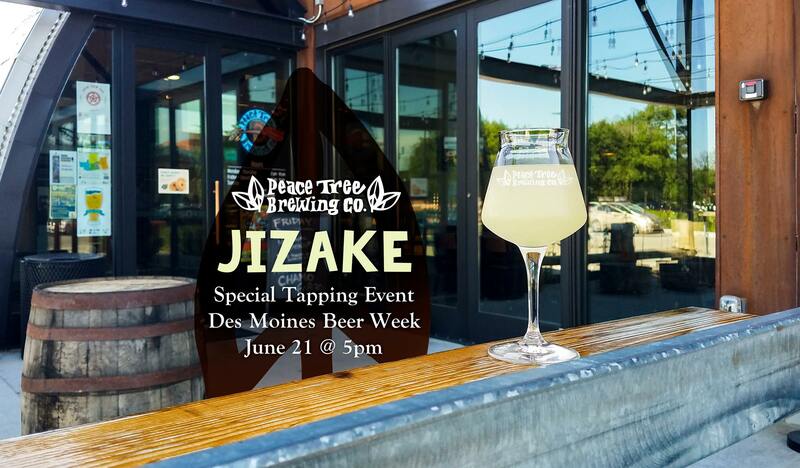 For Des Moines Beer Week, we are releasing Jizake in ALL taprooms on June 21 at 5 pm!